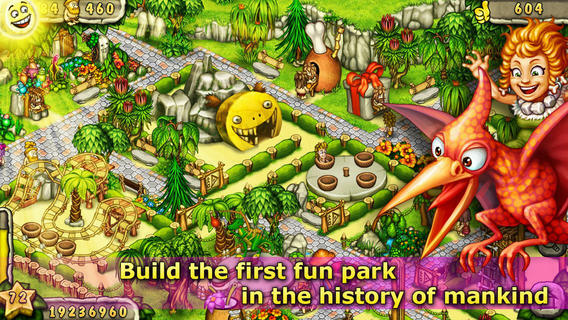 Prehistoric Park Builder is an iPhone game developed by Gear Games. 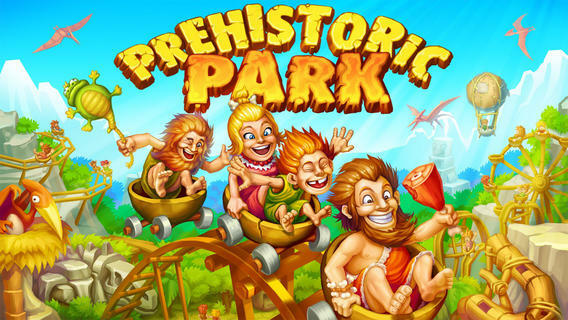 This prehistoric theme park simulator game will appeal to fans of the Flintstones, simulator games, or anyone who likes amusement parks. 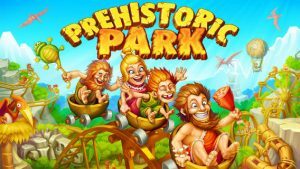 Drawing on Stone Age visuals, Prehistoric Park Builder challenges players to build their own unique theme park. The parks include roller coasters, water features, slides, swings, trampolines, and more. All in all, there are some 60 attractions and rides to use in creating your perfect park. There are more than just rides, however. 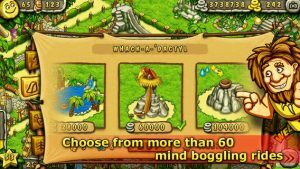 You can also decorate your theme park with exotic trees, unique flowers, and stone temples. This gives the game a more lush, attractive look. 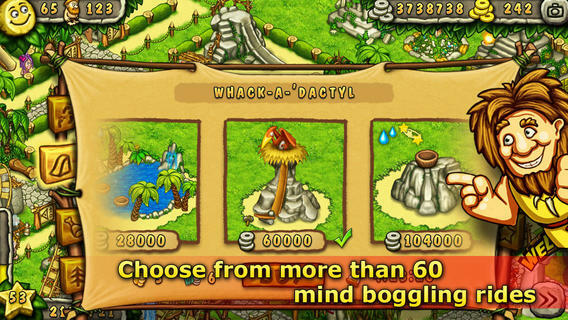 You can also hire cave men as staff, and sell concessions to visitors. The interface here is pretty typical of the genre. There are lots of little sub-menus that you need to navigate through. However, the app does a good job of making the interface feel uncluttered and simple to move through. Not all freebies are created equal. Some free games can feel slapdash. That is not the case with this free game. Prehistoric Park Builder is a fun, casual game. 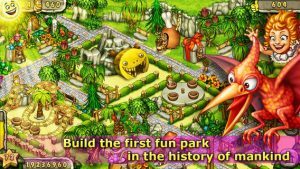 If you loved games like Roller Coaster Tycoon or SimCoaster, then Prehistoric Park Builder is gonna be right up your alley. This game has a distinct look and feel that sets it apart from its competitors. If you like sim games where you can build all kinds of things, this is worth checking out. Want more? Check out this video YouTube! 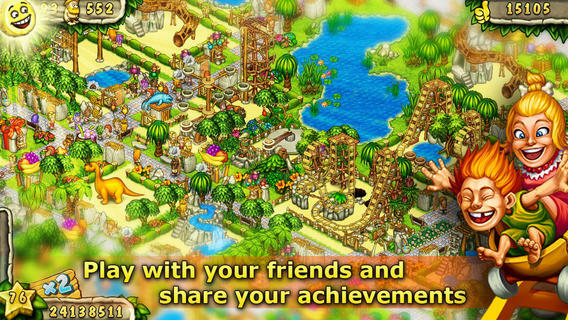 Note: The developers suggest that this game performs best on iPhone 4S/ iPod Touch 5/ iPad 2/ iPad mini or above. This game requires an Internet connection in order to play. Prehistoric Park Builderrequires iOS 6.0 or later. Compatible with iPhone, iPad, and iPod touch. This app is optimized for iPhone 5.